A new version of the "Swyx Mobile for Android" client from unified communications vendor Swyx is now available from the Google Play Store. In addition to technical improvements, version 1.2.0 now offers the ability to add widgets onto the homescreen and the overall running of the app is now both faster and simpler. The widgets are available for various features of the app such as status display, favourites list, accessing mailbox or the redirecting of calls to voicemail. The list of recent incoming and outgoing calls or call blocking can also be accessed with a short tap. Users can decide which widgets they want to place on the homescreen depending on individual preferences. 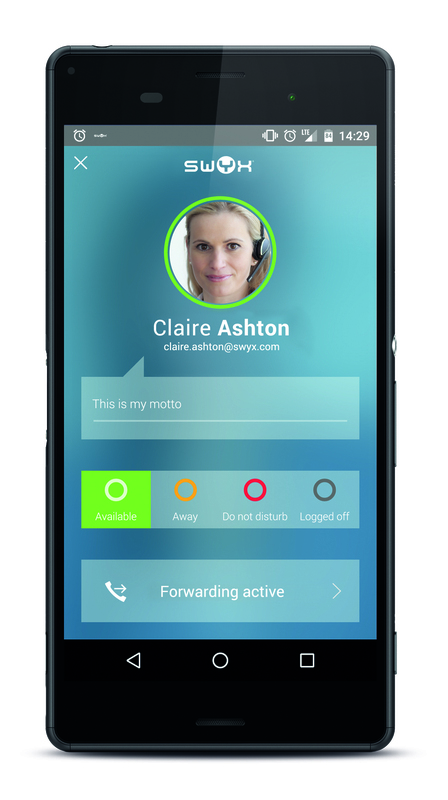 Swyx therefore offers mobile users a wide range of personalisation options for its UC solution. In addition, the new version of the app offers numerous other features that improve ease-of-use. The release of the new version of the Android mobile client follows the recent update of the iOS smartphone app. Swyx now offers the latest functionalities on various platforms and in the future, the Dortmund based unified communications specialist will place equal importance on the on-going development of both clients. Swyx operates as a pan-European market leader via two-tier distribution and over 1,200 authorised resellers: the Dortmund based company with dedicated offices in the UK and France sells not only software solutions in six languages, but also has a range of suitable phones and other hardware devices in its product portfolio. Swyx’s award-winning unified communications provides not only in-house (CPE) solutions, but also cloud-based variants with well-known partners: Europe already has 750,000 users that rely on Swyx, of which around 10 percent have chosen to use a cloud-based solution. The company currently employs more than 150 staff who are responsible for continually improving the SwyxWare solution for the communication requirements of today and in the future. For further information, see www.swyx.com. This press release was distributed by ResponseSource Press Release Wire on behalf of TTA Communications (Bath) in the following categories: Business & Finance, Computing & Telecoms, for more information visit https://pressreleasewire.responsesource.com/about.